Well known for diamonds and perfumes, the city of Palanpur lies in the Banaskantha district of Gujarat. It is the administrative headquarters and the largest city of Banaskantha. Bounded by lofty hills of the Aravalli, Palanpur is quite picturesque with views of the landscape and the neighboring mountains. 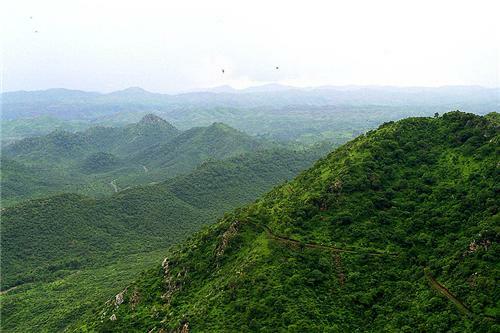 Also known as the flower city, Palanpur is encircled by hillocks in the close environs of the Aravalli Mountains. It is located between the Sabarmati River and the Aravalli Range in western Gujarat. The uneven terrain of Palanpur is largely occupied by boulders of granites. These ultra basic igneous rocks formed during the Paleo-Meso-Proterozoic epoch are very coarse grained and porphyritic in texture. The soil of Palanpur is sandy loam. It is rich in primary minerals that contribute to its agricultural potential. As the silty soil is permeable and well drained, it is ideal for cultivation of crops like wheat, bajra and pulses. Besides having high capacity to retain water and nutrients, the soil is slightly alkaline with a pH range of 8.10. Yet, this does not hinder the growth of agricultural crops. The region has abundant water resources. The water found at the ground level is free from all sorts of bacteriological contamination and satisfies the limit of the Drinking Water Standards. Rare species of flora and fauna are found in the dry mixed deciduous forests of Jessore hills. The chief floral species generally found here are Khair, Gando baval, Isaraily baval, Dhavado, Dhav, Saledi, Siras, Kadaya and Gorad. 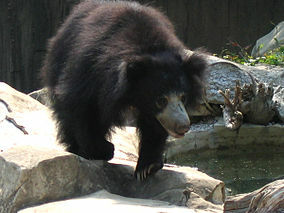 Moreover, these forests are home to endangered animals like Sloth bears. Other prominent animals include Indian civet cat, Rhesus macaque, Indian Porcupine, Striped hyena, Jackal, Blue bull, Wild boar and many others. The reptiles found here are tortoises, snakes and lizards. Apart from these, a wide variety of birds is seen in the deciduous forests of Palanpur. Avifauna includes cuckoos, spur fowls, barbets, tree pies, woodpeckers, shrikes, flycatchers, spoonbills, egrets, storks, cranes and raptors. The region has a few dry deciduous and scrub type of forests. However, the main trees found in these forests are timber, neem, kher, charcoal, timru and firewood. Saraswathi and Banas are the chief rivers that flow through Palanpur making the land fertile and suitable for agriculture. The River Banas, a tributary of the Chambal River has great significance in the city. 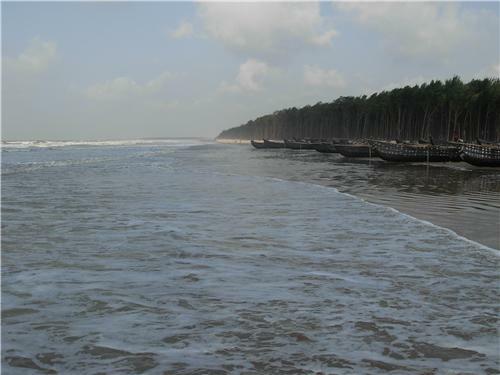 Popularly called as Van Ki Asha, it originates in the Khamnor Hills and forms a vast river basin of 45,833 km-square. As River Banas is a seasonal river that often dries up in summer, its water is stored in the Dantiwada Dam and used for irrigation projects. The city of Palanpur experiences extreme climate throughout the year. Summers are very hot and dry and extend through the months of March, April, May and June. Hot sandy winds blow in summer. On the other hand, winters are very cold and dry. Cold temperatures vary between 5°C and 15°C. The region experiences moderate showers during the monsoon months of July, August, and September. However, it is best to visit the city in winter from October till December.